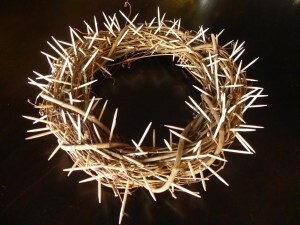 Since the girls can’t really give something up for Lent, we are instead focusing on doing things this religious season. (Personally I’ve always preferred this approach anyways.) Our Advent activity of adding straw to Jesus’s manager was such a hit in our house that I loved the idea of doing something similar this Lent. 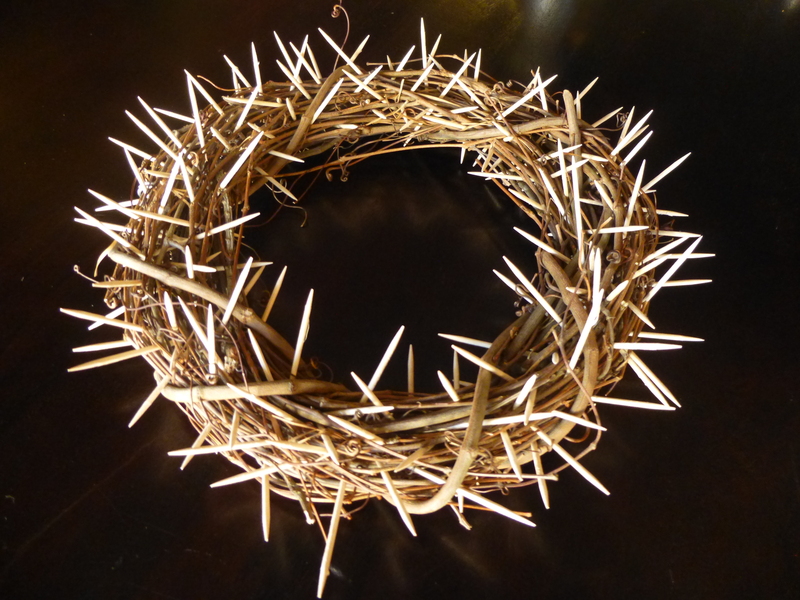 I made this Crown of Thorns and during the Lenten season we will remove a thorn every time someone does a good deed. 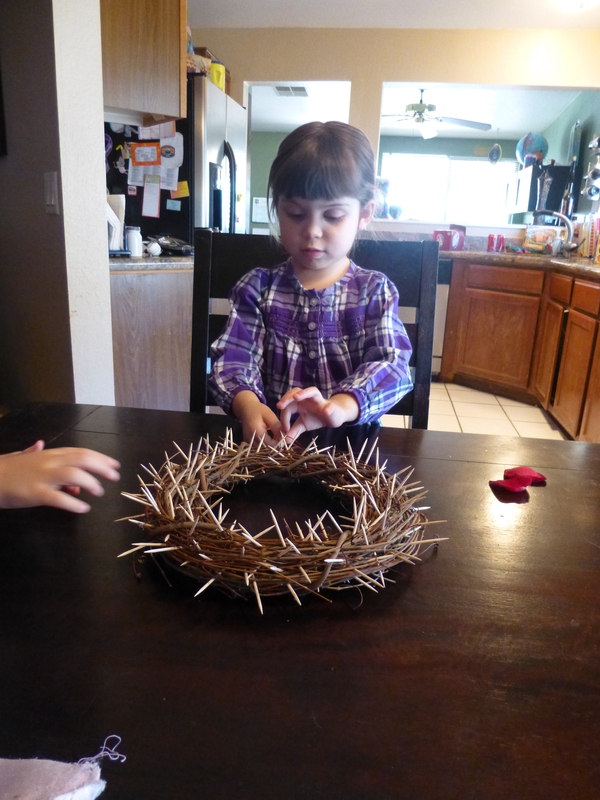 Our goal is to remove all the thorns before Easter. What kind of deeds count? In our home it is anything that eases someone’s burden or brightens his day, which is exactly what we would want to offer Christ in his journey to Calvary. It could be as simple as helping with dinner or sending a card to a grandparent. As a kid I always thought Lent was one of the worse times of the year. 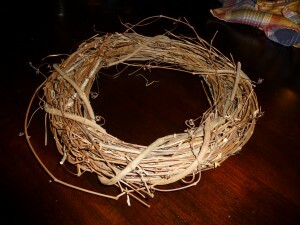 It’s only now as an adult that I can enjoy Lent as a time of focus and reflection to renew my faith. While this is also a time of sacrifice and prayer, I want my girls to have a positive experience with Lent so that later they may be able to appreciate this time of year.